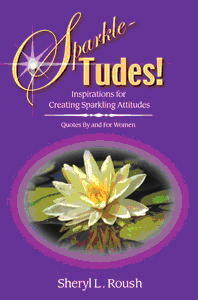 Boost your energy and your attitude, rekindle your spirit and touch your soul with this collection of inspirational thoughts and scriptures. Browse through sections of cherished classics, personal favorites and recent original writings--BY WOMEN--from Oprah Winfrey, Rhonda Britten, Ellen DeGeneres, Barbara De Angelis, Joni Wilson, Lisa Delman and more. A spark is a little thing, yet it may rekindle the world. --Mary Farquar Tupperecome rich.